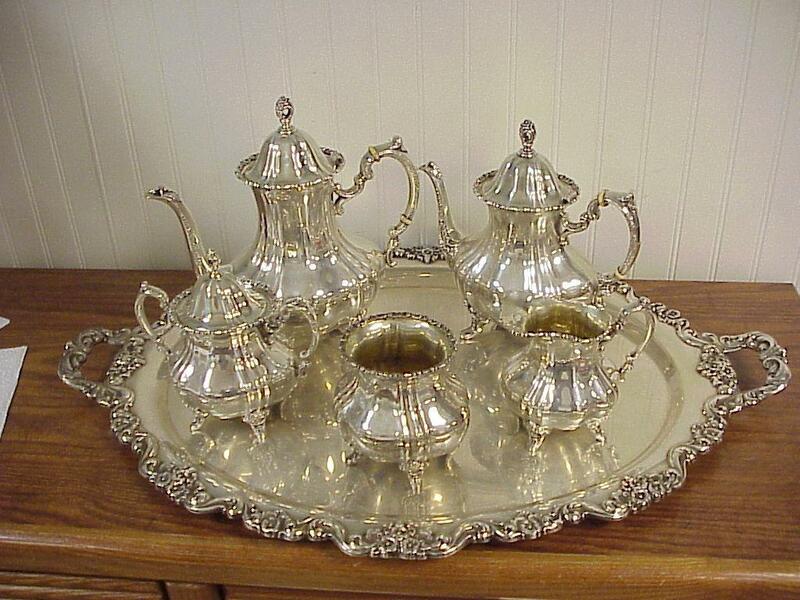 Lovely ornate design 5 piece Poole "Old English" pattern sterling silver tea set with matching sterling silver tray. 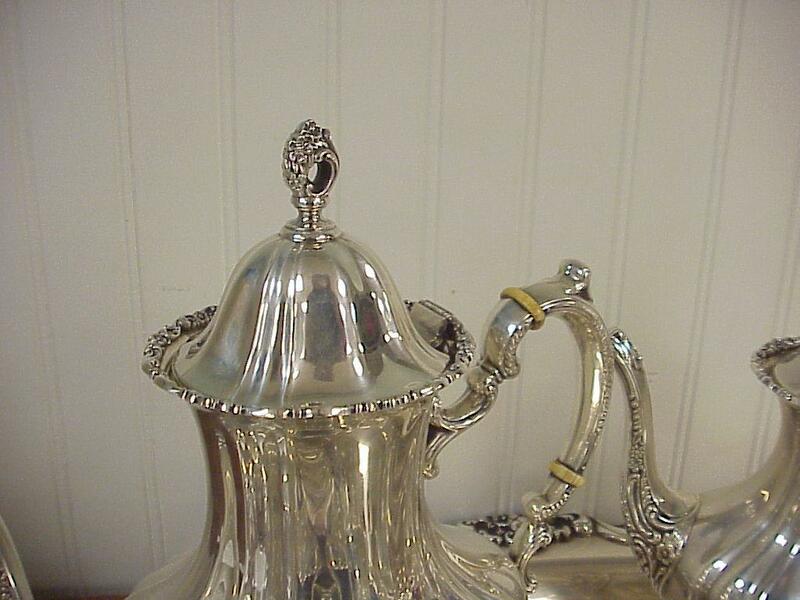 • Tea pot with hinged lid is 9 3/4 inches high, 9 3/4 inches handle to spout. Weight is 32.00ozt. 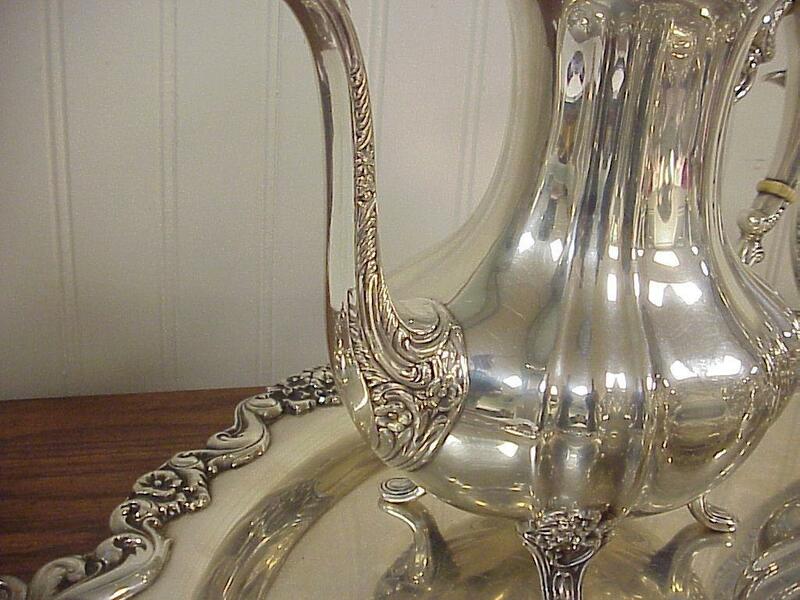 • Coffee pot with hinged lid is 10 3/4 inches high, 10 1/2 inches handle to spout. Weight is 32.50ozt. 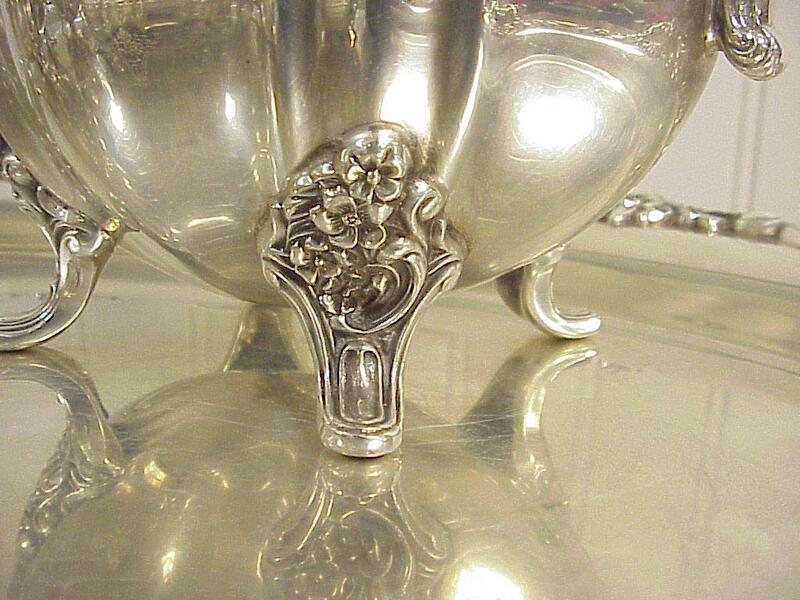 • Sugar bowl with cover is 7 1/4 inches high. Weight is 16.50ozt. • Creamer is 5 1/8 inches high. Weight is 11.15ozt. • Waste bowl is 5 inches high. Weight is 11.80ozt. 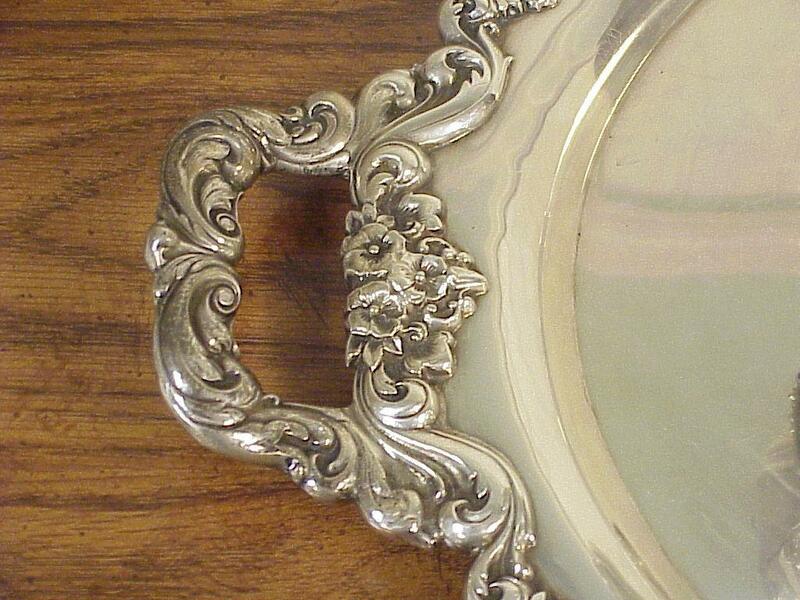 • Oval two handle tray is 28 5/8 inches long, 19 1/2 inches wide. Weight is 136.00ozt. 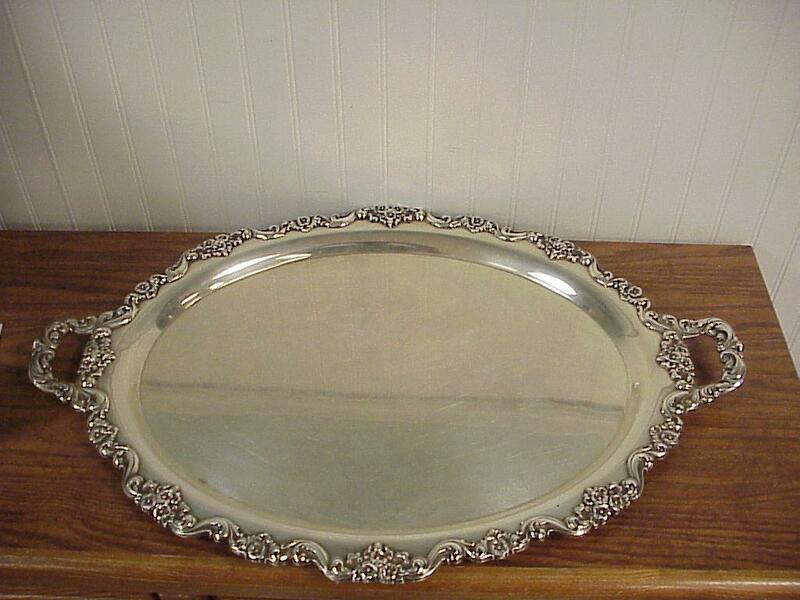 The set is in very good condition, not worn, not bent, no dents, no monograms. 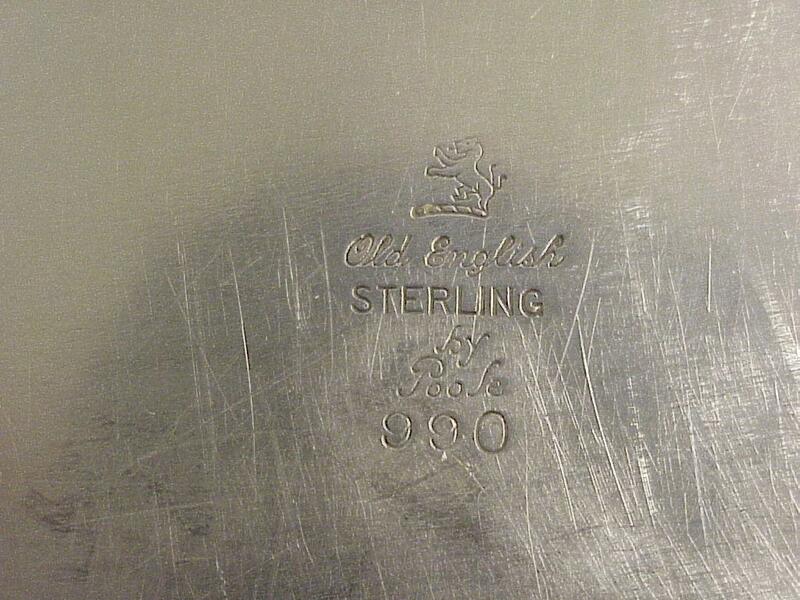 All marked on the bottom with Poole logo and "Old English Sterling by Poole 990". 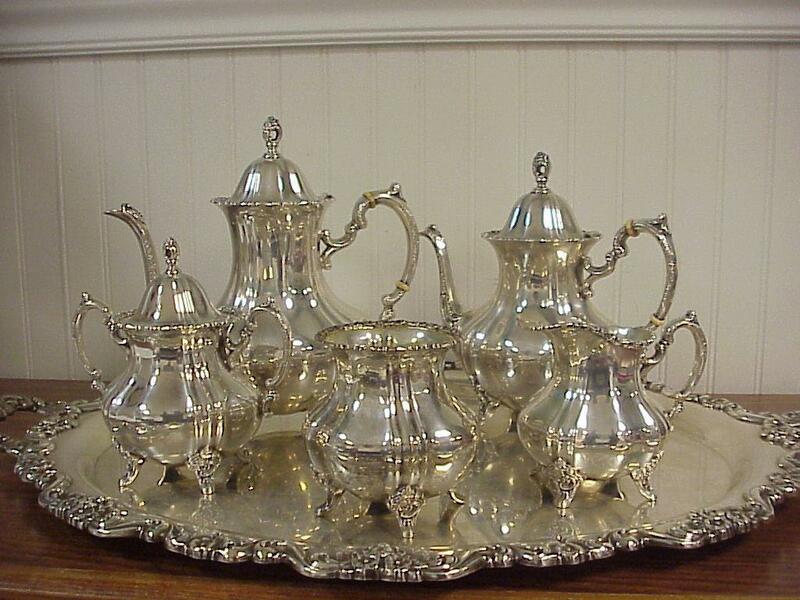 Items Similar To "Vintage Poole "Old English" pattern Sterling Silver 6 piece Tea S..."